Her first novel, The Hate U Give, topped the New York Times bestseller charts for over a year and birthed a star-studded film adaptation that achieved critical and commercial success. Her second novel, On the Come Up, hit store shelves in February and shot straight up the bestseller lists. Like THUG, it has been snapped up for a big-screen adaptation. There’s no question that Angie Thomas is a powerhouse of a writer. Here are 10 things you should know about her. Angie Thomas wrote THUG while working as a bishop’s secretary at a megachurch in Mississippi. She would write at night and in quiet periods during the day. In 2014 a literary agency was running a Twitter Q&A. Thomas went on and asked whether YA novels that dealt with sensitive current issues were a no-no. New York literary agent Brooks Sherman, responded: “I don’t think any topic is off limits for young adult readership. It’s just a matter of how you address it.” She told him she was writing a story related to the Black Lives Matter movement. Sherman asked to read her manuscript and a few months later signed her as a client. When he submitted her novel to publishers a few months later, 13 US publishers fought for the rights to her book. During her early teens Thomas was having so much trouble with bullies at school that her mother removed her and began to homeschool her. However, the experience left her depressed and suicidal. One day she locked herself in the bathroom and fought the temptation to self-harm while listening to TLC’s Waterfalls. Left Eye’s rap came on. The words ‘Dreams are hopeless aspirations/In hopes of comin’ true/Believe in yourself/The rest is up to me and you’ seemed to speak directly to her. On New Year’s Day, 2009, an unarmed 22-year-old Black man was shot dead by transit police. His name was Oscar Grant and his murder was later immortalised in the Ryan Coogler film, Fruitvale Station. 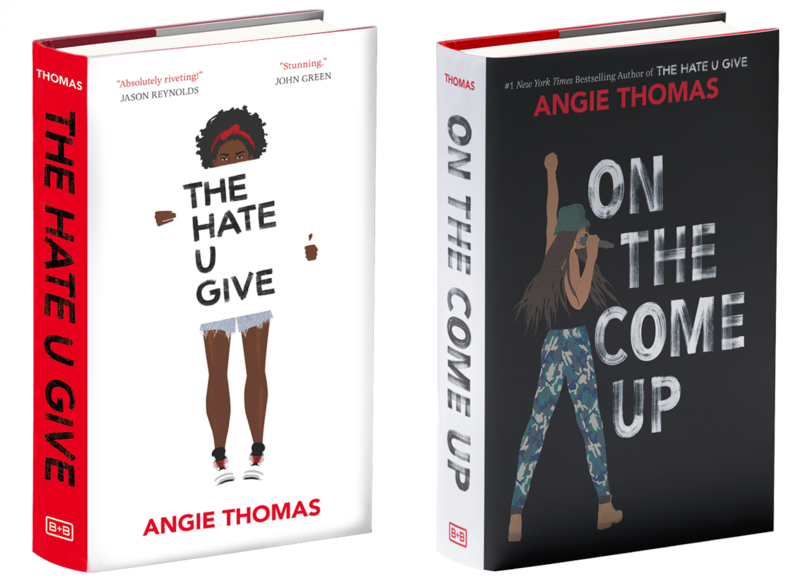 His death had a profound effect on Angie Thomas. Thomas’ fondness for the US TV soap opera Passions motivated her to write fanfiction and post it online under a pen name. She says it taught her how to make other people’s characters work, which eventually gave her the skills and confidence to create her own. In 2018 a South Carolina police union challenged the inclusion of Thomas’ THUG on a summer reading list for ninth-grade students. The president of the Charleston-area Fraternal Order of Police appeared on TV news channels to accuse the book of being “almost an indoctrination of distrust of police”. The school stood up to pressure from parents and the police and refused to remove the book from their reading list. In early 2019, the South Carolina Association of School Librarians awarded the school’s defiant principal the Intellectual Freedom Award to thank her for supporting the English teachers and defending the reading assignment. She was the first black teenager to graduate from her creative writing course at Jackson’s Belhaven University. She says her experience of growing up in a largely poor, black neighbourhood while attending an affluent, white college informed Starr’s high school experience. Her top five would also include Biggie, Tupac, Kendrick Lamar and André 3000. Love her top list of rappers. Totally agree that Lauren does not get enough props. She’s great! Next PostWhere are the joyful Black books?